Subjects sit along the wall and lay on the floor as they wait to be assigned a cell upstairs at the Hamilton County Jail. Jail officials are currently seeking ways to alleviate overcrowding, which has been a problem for several years. 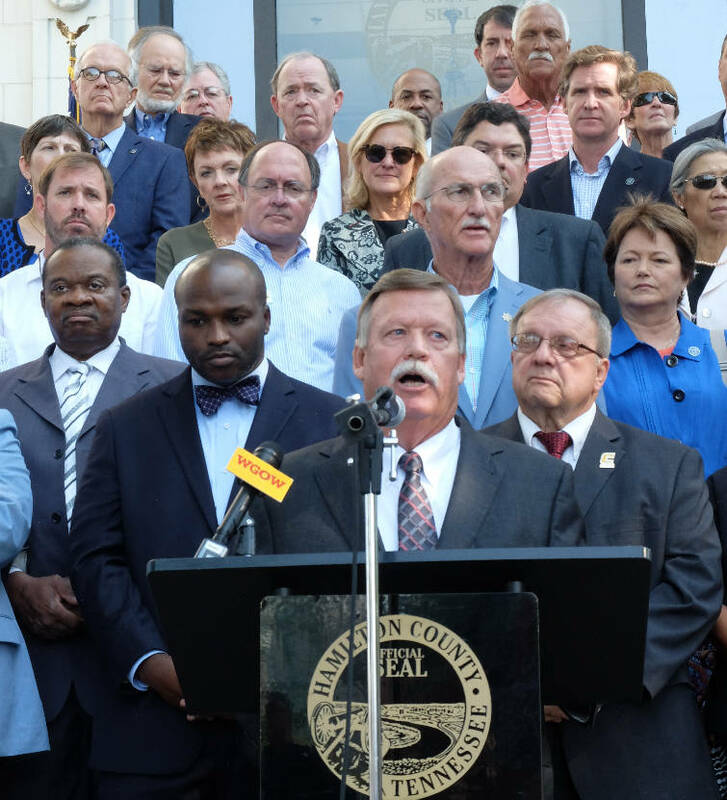 POLL: Do you support the county mayor's funding plan? 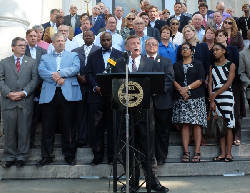 Part of the $180 million bond issue Hamilton County Mayor Jim Coppinger announced Tuesday will be allocated for the expansion of the Silverdale workhouse to help relieve the overcrowded and inadequate jail in downtown Chattanooga. The jail, built in 1976 on the 600 block of Walnut Street, routinely houses more than the 505 inmates it is certified to hold. Its population typically fluctuates between 510 and 550 inmates, according to G.A. Bennett, director of support services for the sheriff's office. "[The downtown jail] is near or at the end of its useful life," Coppinger said. "There is also a need to expand the facility at Silverdale to address the overcrowding concerns. The additional revenue will be used to fund the debt service to upgrade Silverdale, such as the kitchen, the laundry and other needs. And we will add additional beds." The upgrade is likely to cost $20 million-$30 million, and Coppinger said it should add around 128 beds to the Silverdale facility. For now, the county jail downtown will remain, but Hamilton County Sheriff Jim Hammond said it eventually will have to be replaced. "It cannot be rehabilitated," he said. "It's rotten to the core in terms of the steel and concrete. You could spend twice as much money [repairing it] as it takes to build a new one. The solution is to tear it down. We would hope in the next three to five years we could be moving in that direction." 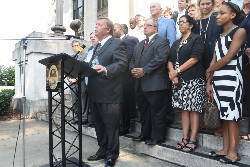 Backed by government officials, employees and supporters, Hamilton County Mayor Jim Coppinger announces new projects for the county on the steps of the Hamilton County Courthouse on Tuesday, Aug. 29. 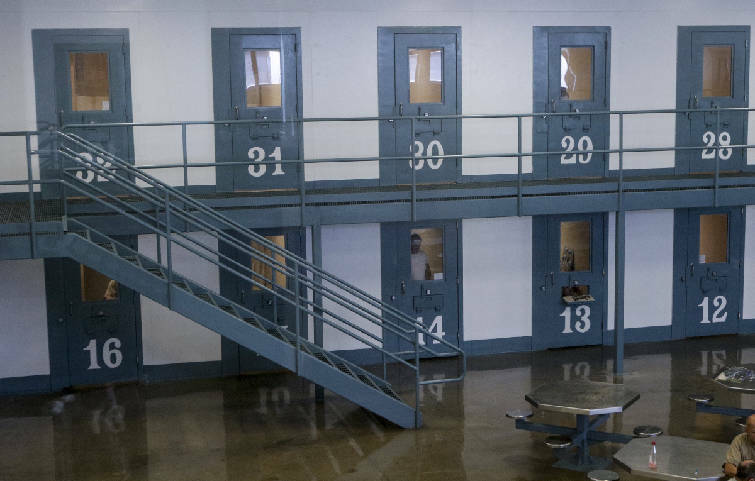 The myriad problems faced by the jail have been apparent for years — the Tennessee Corrections Institute found it failed to meet minimum state standards for six out of the past seven years. The Times Free Press previously reported that in 2010 and 2012, staff weren't providing inmates with physicals within 14 days of booking, as required by law. In 2013, the inspector suggested jail staff were filling out security check logs without actually visiting inmates, and noted there was inadequate lighting, non-working cameras, no evacuation plan, dirty floors and excessive photos and items posted inside jail cells. In 2014, jail staff weren't checking on suicidal inmates every 15 minutes, were still failing to provide 14-day physicals and weren't documenting whether medication was issued, refused or discontinued. In 2015, some inmates were housed in showers because of overcrowding, and some didn't have access to showers at all, according to TCI inspectors. Last year, the jail was cited for having many inoperable fixtures, like showers, toilets and lights, and Chief of Corrections Joe Fowler said he believed the jail was failing to provide acceptable living conditions to inmates because some didn't have regular access to showers or toothbrushes. Hammond said the county could have a holding facility downtown instead of a jail, which it doesn't need in the long term. In the meantime, he said improvements are needed to add space and meet requirements at Silverdale. "Tennessee Corrections Institute is looking at us, inspecting us and have told us they are going to be silent for as long as they can because they know we are trying to fix the problem. But there will come a point where if we don't fix the problem, they will step in and decertify the jail." As part of the changes, Coppinger will give up oversight of the private operation of the Silverdale Workhouse by CoreCivic, formerly Corrections Corp. of America, and turn that responsibility over to Hammond. "[Silverdale] won't be a workhouse anymore, it will be part of the jail system which will afford [Hammond] the opportunity to move people from the facility downtown to the facility at Silverdale at his pleasure," Coppinger said. "That is going to cut down on overcrowding." Hammond would have the option to try to run the jail with his own staff, but he said CoreCivic is less expensive and effective at running the workhouse and can work under the control and oversight of his office, along with the downtown jail. The cells of a ward are seen Tuesday, June 30, 2015, at Silverdale Correctional Facility in Chattanooga, Tenn.
"I think they've done a great job for 30 years," Hammond said. "I'm willing to look at how that can save money and operate so that we are kind of hand and glove. I think we can co-exist and help each other." Over the last two decades, Silverdale saw three separate expansions in 1997, 2004 and 2008. 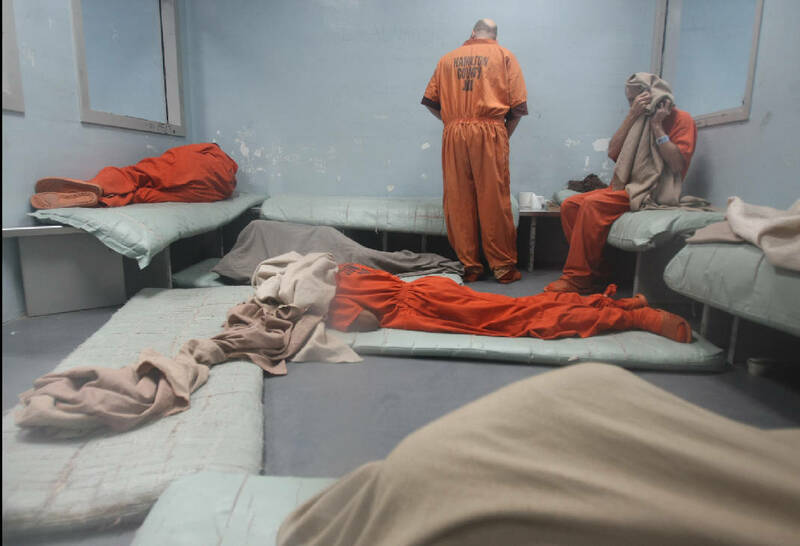 Each of those expansions of about 128 beds preceded a brief plunge in the number of inmates at the downtown jail, and in 2004 county officials applauded a drop from 590 daily average inmates to 493. But after a few months, the total climbed back to 571. A county task force on corrections recently completed a study on the county's future jail needs and will present the report to the Hamilton County Commission on Wednesday, but Coppinger indicated Tuesday that the underscored message of that study is a familiar one. "The study has concluded that we have an immediate need to relieve overcrowding in our jails," he said.